Our church is getting ready to host their second annual couples Valentine dinner. 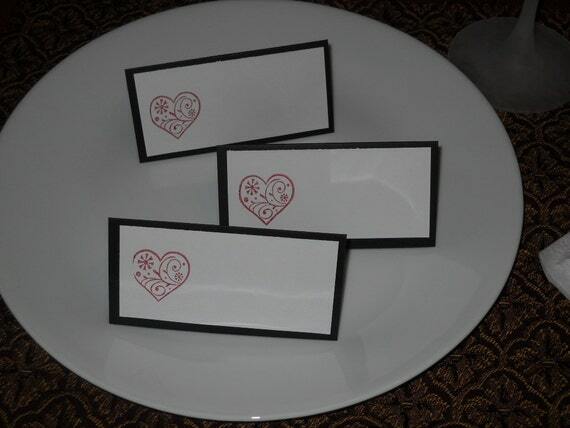 It made me think of place cards and hearts. 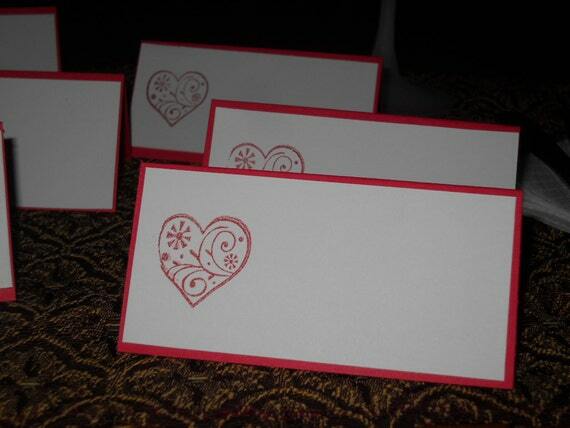 This are simple two layer place cards that I hand stamped with a heart stamp I got from Studio G.
These are available in the shop now along with some other new designs I'll be sharing later this month. I've been trying to add some new designs and ideas, so please feel free to share. I love hearing from you all. Have you made your dinner reservations yet for the big V-Day?